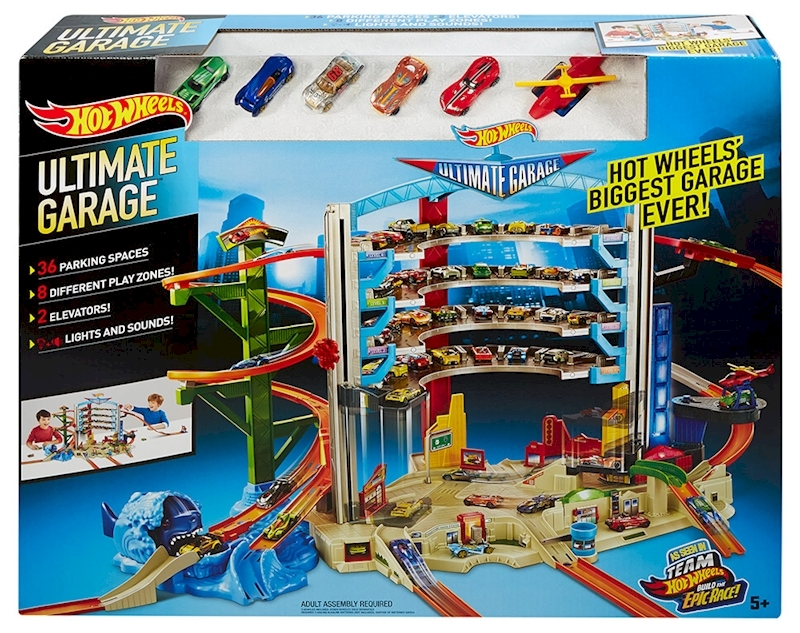 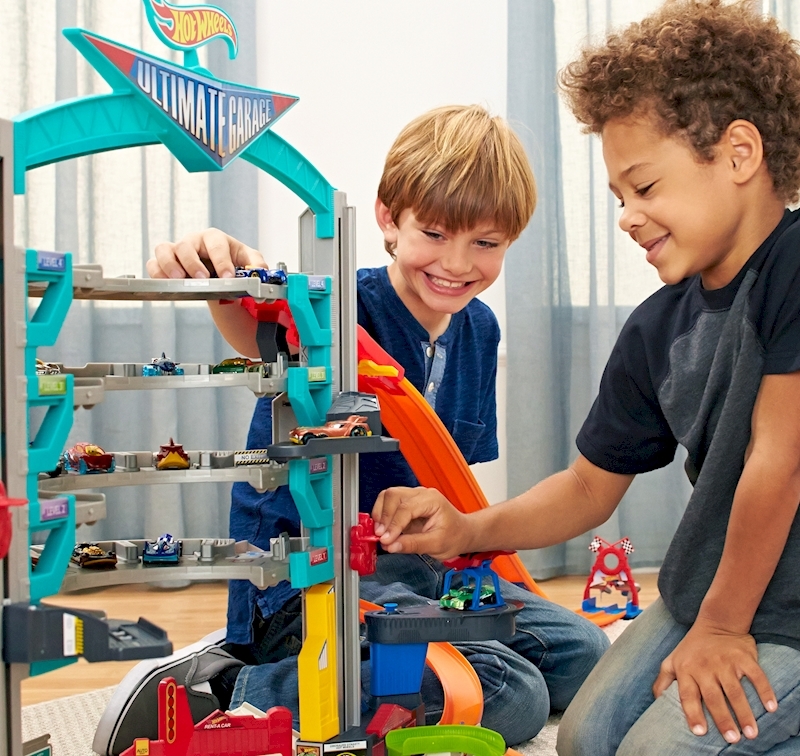 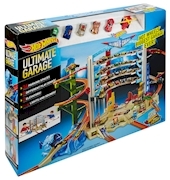 Mega action and big adventures can be found in the biggest Hot Wheels garage EVER. 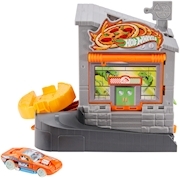 Features multiple action zones, including a chomping shark, tune-up shop and gas station. 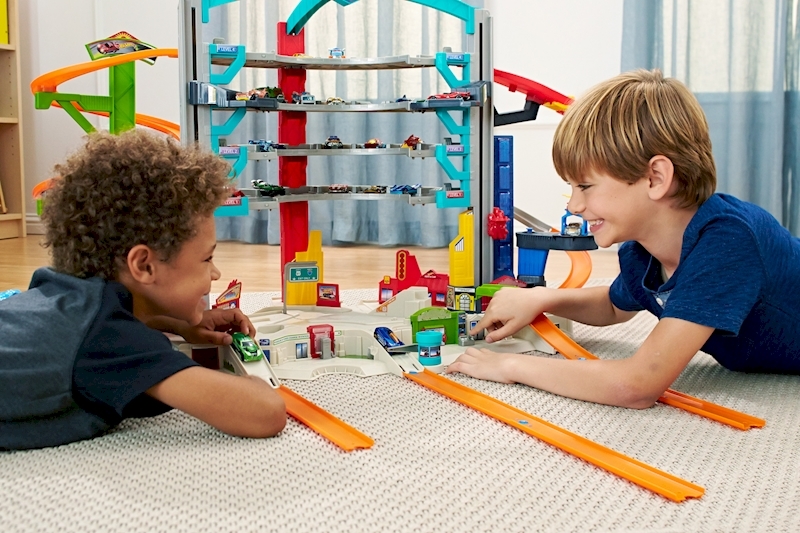 Parking spots for 36 cars and play space for more. Offers tons of imaginative play for kids. 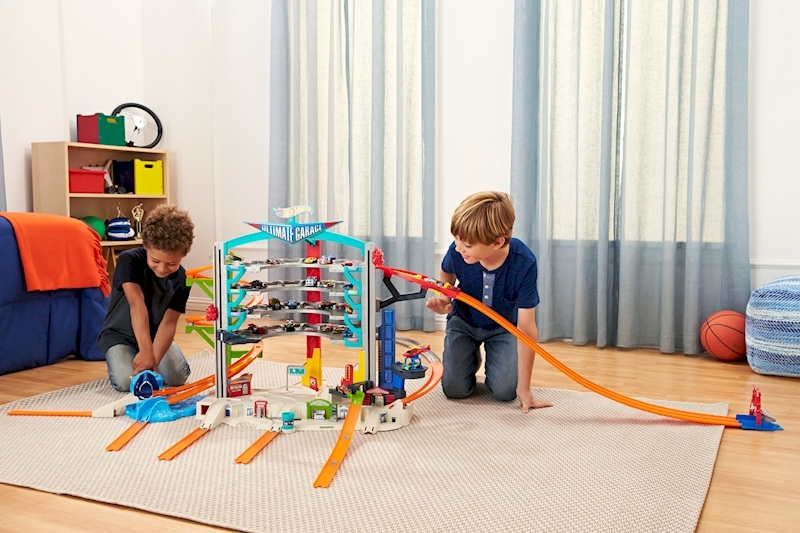 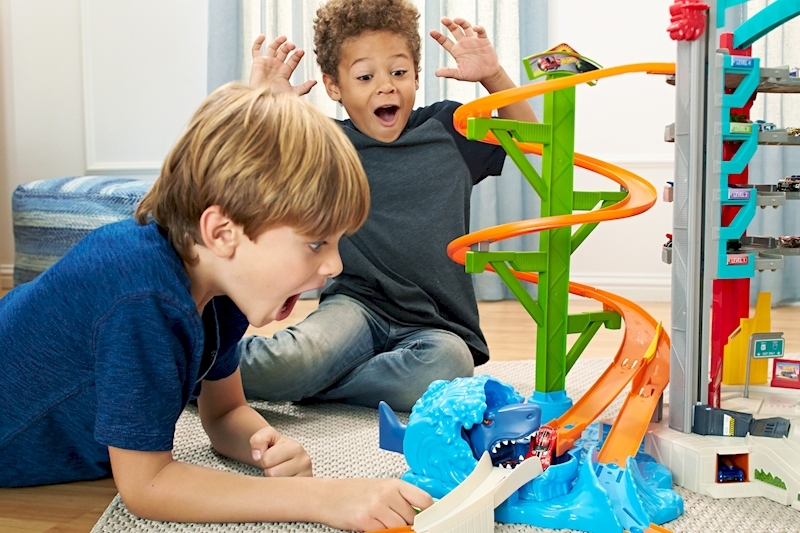 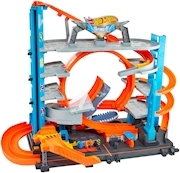 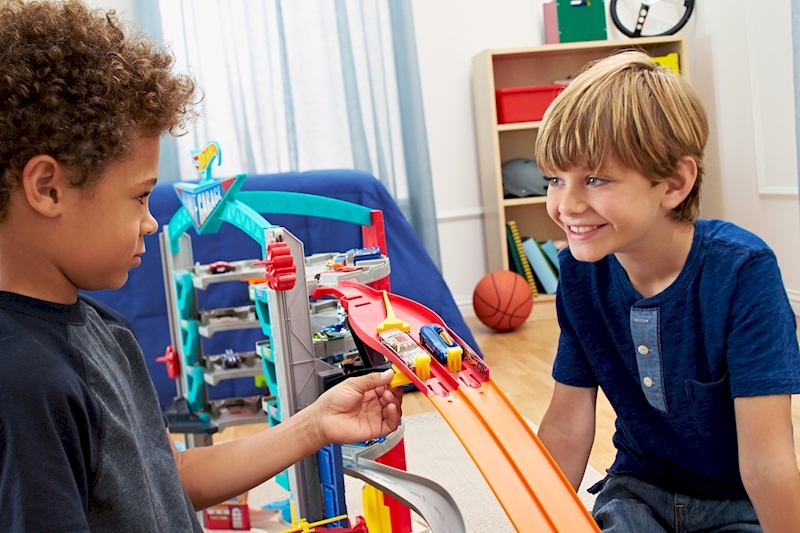 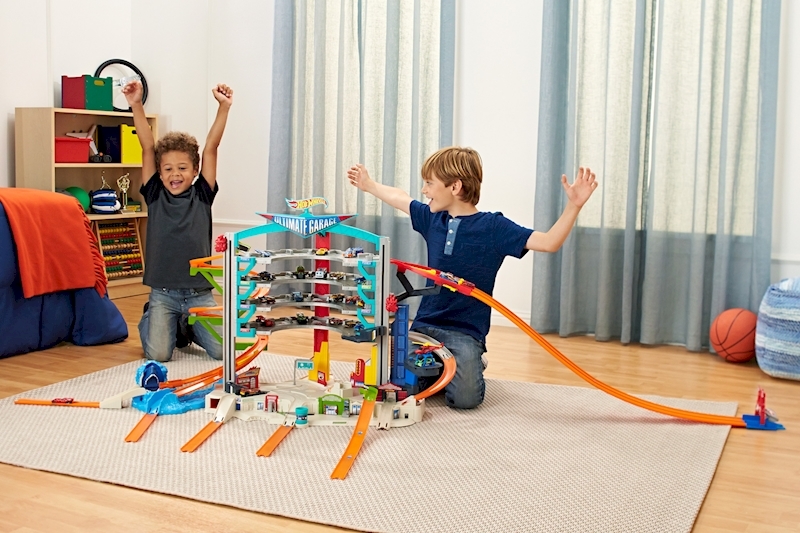 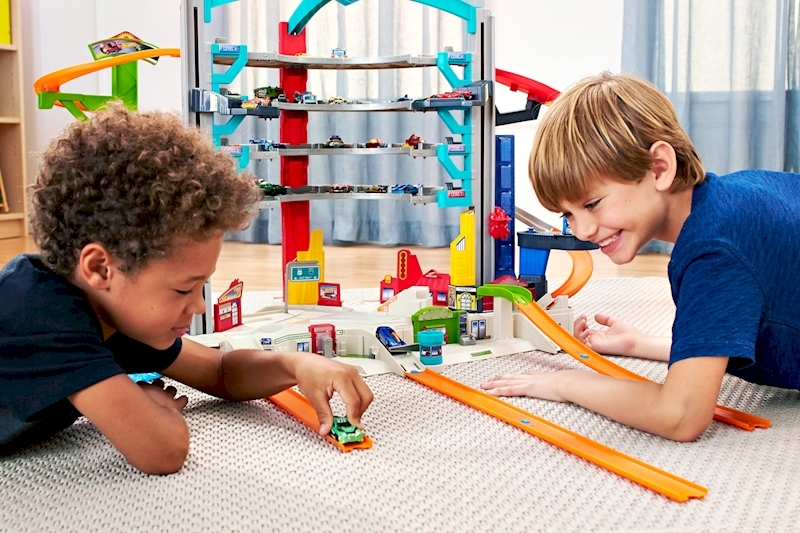 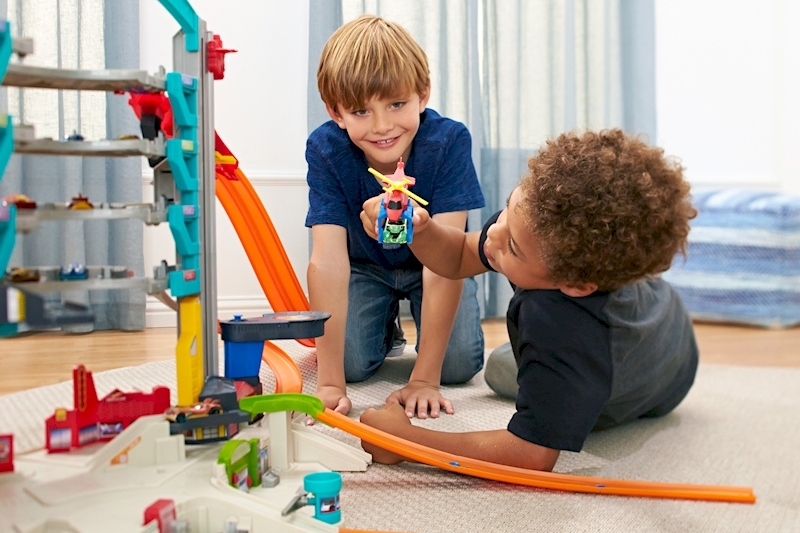 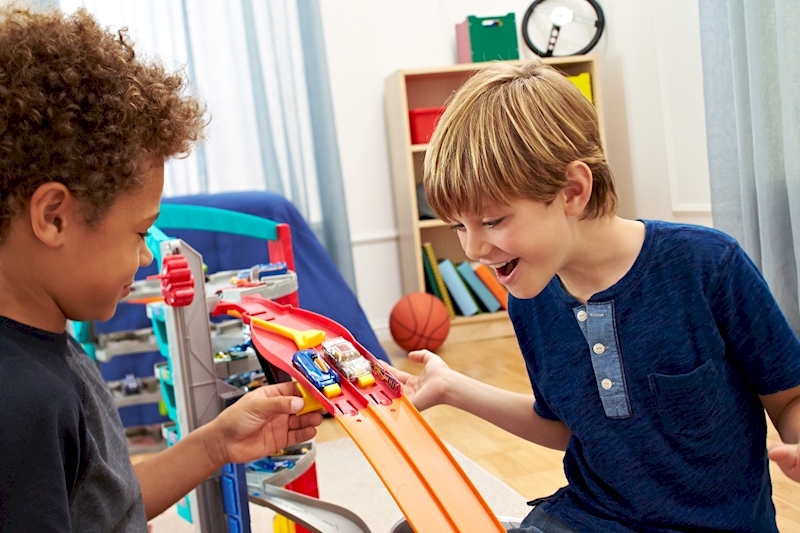 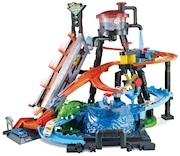 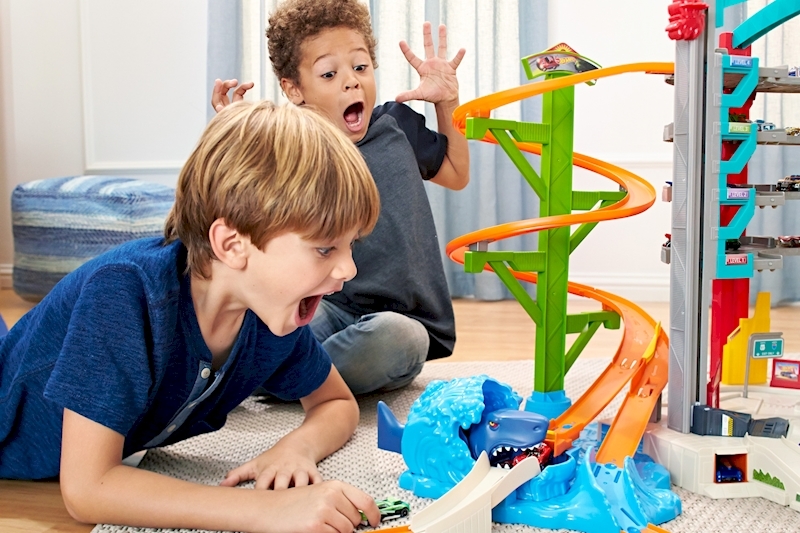 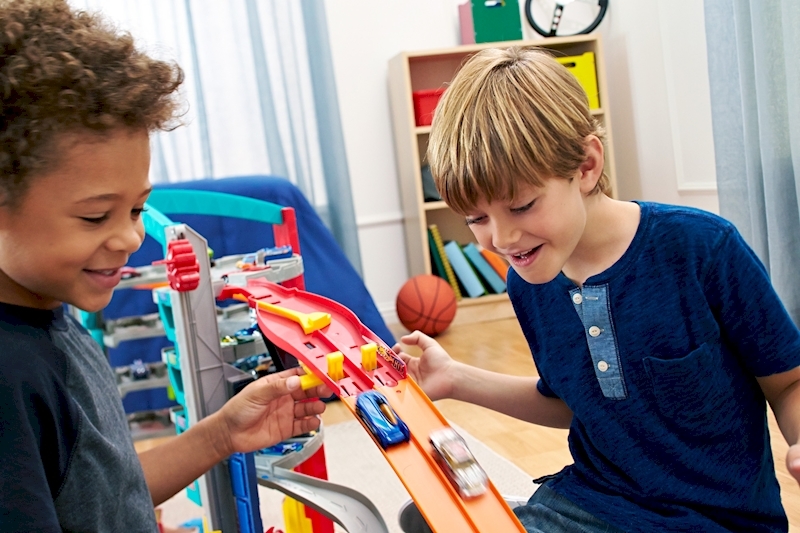 Connects to other Hot Wheels track sets. 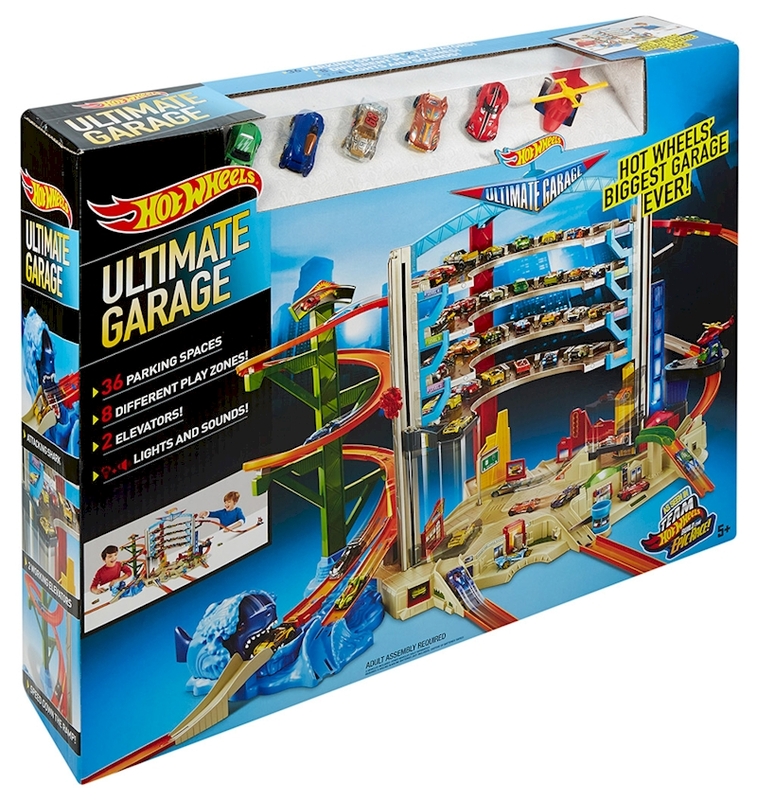 Comes with five Hot Wheels cars plus a helicopter for instant fun.